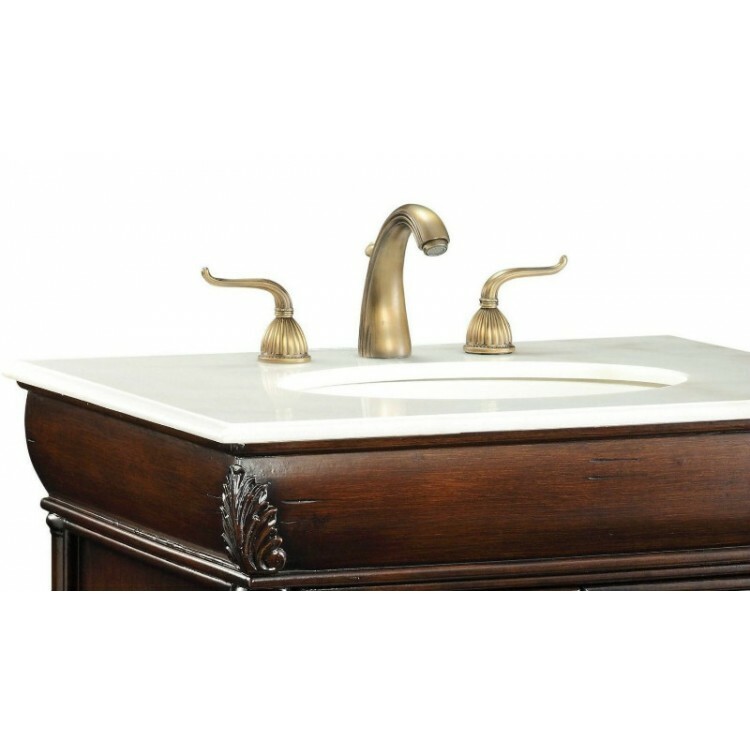 Home » Traditional » 20" - 29" » Ricardo W - 28"
This stunning bathroom vanity sink will add style and grace to your bathroom decor. 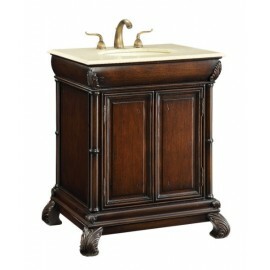 Warm your bathroom decor with this beautiful classic Ricardo vanity sink. 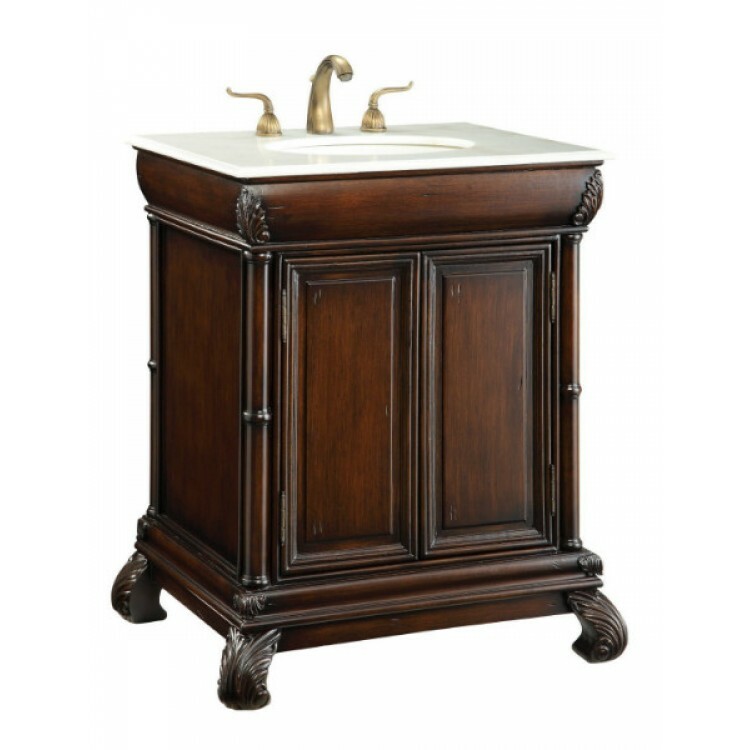 Featuring a white marble counter and a matching white under mount porcelain sink; two door open to reveal ample storage space and easy plumbing access. Constructed of solid hard sturdy wood and slight stress finish added favor; a smooth, rich mahogany finish brings out the luster of the wood.